Let me begin this message by offering you my sincerest condolences. Condolences for what? 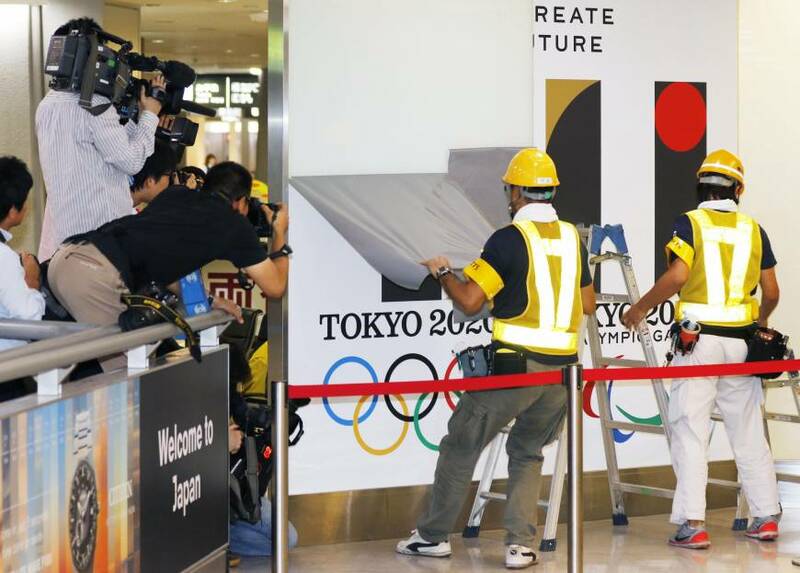 For the death of the belief that a trouble-free 2020 Tokyo Olympics would serve to showcase Japan’s economic revival. Up to this point, the exact opposite has been the case, due to the scrapping of plans for a very expensive new National Stadium, the scuttling of the Olympic logo amid charges of plagiarism and newspaper headlines alleging, for example, that “Japan’s Olympics fiascoes point to outmoded, opaque decision-making.” Even more recently, Japan sports minister Hakubun Shimomura offered to resign over the Olympic stadium row. Among these developments, the charge alleging “outmoded, opaque decision-making” is perhaps the most troubling of all, because it suggests that both of the major setbacks the 2020 Olympics has encountered are systemic in nature, not merely one-off phenomena. If correct, this indicates that similar setbacks are likely to occur in the future. But how many setbacks can the 2020 Olympics endure? One needs only to look at recent stories describing the torrential downpours in the Fukushima area to know that this claim, if it were ever true, is clearly no longer valid. Even Tepco stated: “On Sept. 9 and 11, due to typhoon No. 18 (Etau), heavy rain caused Fukushima No. 1 drainage rainwater to overflow to the sea.” This is not to mention the high probability that relatively decontaminated areas have been contaminated once again by the heavy rains carrying radioactive particles lodged in the nearby mountains down onto the plains. Nor does it take into account that no one knows the location or condition of the melted fuel in reactors 1, 2 and 3. Unfortunately, Zen master Dogen didn’t explain what to do when you find yourself in a spot where heaven is already far removed from Earth — or the truth, in this instance. Fortunately, the former Japanese ambassador to Switzerland, Mitsuhei Murata, recently proposed an eminently reasonable solution. 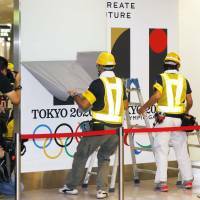 It is time, he says, for Japan to stage an “honorable retreat” from hosting the 2020 Olympics while there is still time to select and prepare an alternative site. In an article in the September issue of Gekkan Nippon, Murata buttressed his proposal by pointing out another misstatement in Abe’s IOC testimony, namely, “(Fukushima) has never done and will never do any damage to Tokyo.” In response, Murata pointed to a number of incidents showing that Tokyo was affected by Fukushima radioactive fallout, including the discovery on March 23, 2011, that water from the purification plant in the Kanemachi district of Tokyo contained more than 200 becquerels per liter of radioactive iodine, double the recommended limit for young infants stipulated in the Food Sanitation Act. Murata’s major concern, however, was not about the past but the present and future. He noted the danger still posed by large numbers of spent fuel rods suspended in spent fuel pools in reactors 1, 2 and 3. Unlike the spent fuel rods in reactor building 4 successfully removed by the end of 2014, the remaining rods can’t be removed from the damaged reactor buildings due to the high levels of radioactivity surrounding these reactors, all three of which suffered meltdowns. Murata’s gravest concern is a number of troubling indications of recurring criticality in one or more of the reactors at Fukushima No. 1. For example, he notes that in December 2014, both radioactive iodine-131 and tellurium-132 were reported as having been detected in Takasaki city, Gunma Prefecture. Given the short half-lives of these radioactive particles, their presence could not be the result of the original meltdowns at Fukushima. Murata is not opposed to the Tokyo Olympic Games per se, but finds them a major distraction to what needs to be done immediately — namely, gathering the best minds and expertise from around the world and, with the full support of the Japanese government, doing everything humanly possible to bring Fukushima No. 1 truly “under control.” This will help to ensure the Pacific Ocean is no longer used as an open sewer for Fukushima-produced radiation, and also address the ongoing pain and distress of the residents of Fukushima Prefecture and beyond. As Murata noted in the conclusion of his article, “Heaven and Earth will not long countenance immoral conduct.” Recognizing this, Minister Endo, will you join the call for an “honorable retreat”?